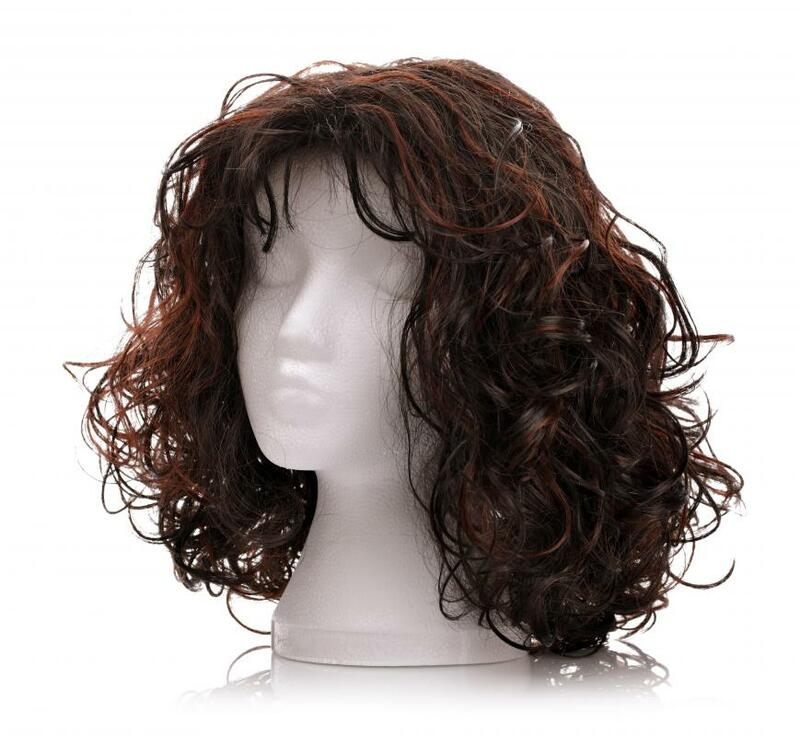 What Are the Different Types of Wig Supplies? 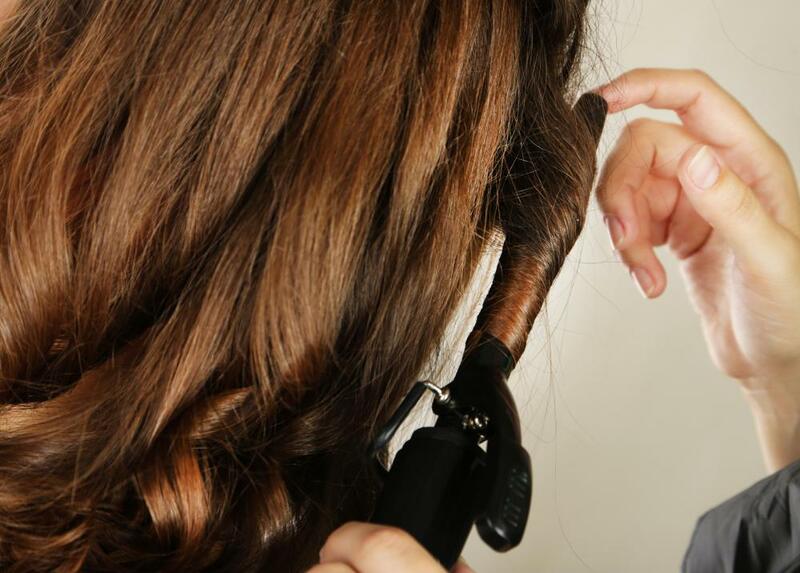 Styling tools for human-hair wigs can include heat styling tools, like curling irons. Stands are used to protect wigs and keep their shape. Wigs are typically multi-use items and require routine care to keep them looking their best. Stands and carrying cases are used to protect wigs and help them keep their shape and luster when not in use. Special cleaning products are designed for wig use, and wig supplies also include wig brushes, adhesives and chin straps. There are also products to make wearing a wig more comfortable, including wig caps and adhesives. When a wig is not being worn, it should be placed on a wig stand or form. These are available in a variety of materials, including plastic, canvas and foam. Some mannequin-style stands feature facial features and color choices for eyes and eye lashes. If a wig needs to be transported, it is best to do so with the wig inside a wig box. Boxes are available in cardboard, as well as more durable materials. Some wig boxes resemble a zippered suitcase and feature a removable wig base inside. Many wig supplies are items designed specifically for wigs, including brushes, combs and picks. Wig brush styles are plentiful, with many designed for specific purposes, including brushes for teasing and general styling. Some brushes have metal pins, while others are nylon and even offer anti-static properties. Wig supplies also include wig straps, which are used to help secure the wig for styling while it is being worn. The strap clips onto each side of the wig and adjusts underneath the wearer's chin. A wig liner is worn underneath the wig to help protect the scalp from irritation. Wig caps are worn to help control hair underneath the wig. Shampoo, conditioner and holding spray are made specifically for wigs. Wig supplies also include curling concentrate and deodorizer. Temporary bonding agents, such as liquid adhesives and clear tapes, are used to help the wearer feel more secure that their wig will stay in place. An adhesive solvent can be used to remove the adhesive residue from the bonding agents. Synthetic wigs should not be styled with traditional heating tools, such as blow dryers, straightening irons and curling irons, but human-hair wigs can be. Hair coloring, highlights and low lights can be applied to human hair wigs. Other wig supplies for styling include rollers and pins. Some synthetic wigs have an unnatural looking shine to them. Wig wands contain a powder which can dull down the shine and help the wigs to look like more natural hair. How Do I Choose the Best Wholesale Wig? How Do I Choose the Best Wig for Men? What Are the Different Types of Wig Accessories?